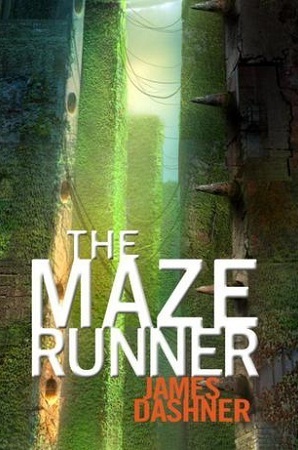 The Maze Runner is a young adult post-apocalyptic dystopian science fiction novel. I thought that I would like it, since I had read and loved the Hunger Games series, but honestly, it fell short and I was really disappointed. The main character Thomas wakes up in a strange place called the Glade with no memories of who he is or how he got there. The Glade is surrounded by walls and outside the walls is a Maze. The boys living in the Glade (who by the way also have no memory of who they are) have to run this Maze every day in order to “solve” it. They also must avoid “Grievers” who are monster-things that live in the Maze. The characters have little to no depth and the storyline is somewhat boring and predictable–there is little to no action until the end of the book, and the ending was, well, just stupid and ruined the whole book. Maybe the movie is better.